A quaint homestead in the Jundland Wastes. The immediate neighborhood is pretty quiet. Local jawa traders open up a cute little droid market every few weeks. Otherwise, this quiet spot is refreshingly under the radar – expect no hassles from Imperial stormtroopers! Be sure to enjoy the local scenery while you’re here. Evenings are particularly gorgeous. Always a treat to sit on a nearby dune and watch the suns dip below the horizon. Need to pick up some power converters during your stay? While the farm itself is fairly isolated, you’re welcome to borrow our landspeeder for quick errands to and from Tosche Station or nearby Anchorhead. If the quiet moisture farming lifestyle is a bit too tame for your tastes, our nephew would be happy to take you out to bullseye womp rats in his T-16 Skyhopper. We’re keeping an eye out for extra farm hands. Particularly keen to find someone who can speak Bocce and is familiar with binary for vaporizers. Would love to chat more if you’re interested. Note: The local sandpeople have become more brazen lately, so be sure to return to the homestead before dark. If you do happen to encounter them, make loud noises — they are easily startled. Smoking is not allowed in the house, but it is allowed in the front yard. I came for the scenery and to check out the droid market. They really push the farming though. Owen tried to get me to help him out with the farm duties? It was awkward. If there’s a bright center to the universe, this place is farthest from it. Can’t recommend. Too boring. Very remote and quiet. But also VERY HOT, be warned. (bring GALLONS of suntan lotion and light-summer attire! My girlfriend and I looked like sweaty burning lobsters after standing outside without lotion on for just 5 minutes.) Two suns can get you a great tan, but watch out for 2nd degree burns. Just be sure to book a room with AC, duh. There’s a nice Cantina in Mos Eisley, but they don’t allow droids. Not cool. So much for equality. I recommend the Blue Milk there, and the Juri Juice was STRRRONG. Also, regardless of what you may have heard, the Tosche Station isn’t that great, and if you’re looking for power converters you can definitely find them cheaper online. WHY ARE THERE TWO HORRIBLY BURNED BODIES OUTSIDE THE ENTRANCE?!?!? THAT SHOULD PROBABLY BE MENTIONED IN THE DESCRIPTION! A lovely farm with down-to-Tatooine hosts. Though I heard they used to be significantly warmer, you are now more likely to get a cold – bony – shoulder and Luke-warm reception. And though the location is beautifully rural it suffers from being too close to Mos Eisley Spaceport. You will never find a more wretched hive of scum and villainy. Here you must be cautious. Insider tip: Try the blue milk. Service is friendly as your own family, but the hotel theme is a straight rip-off of another venue in Tunisia: they’ve even kept the walls the same colour. Don’t go if, like me, you abhor plagiarism. Meesah loved eatin da mushrooms witha missa Shmi. Datsa some bad juju. Bad impressions, I came here by and advice of my cousin, Obi Wan. 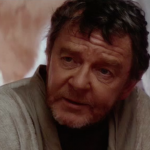 He told me Owen (the host) was nice and the city next called “Tatooine” was very authentic but a bit dangerous, it was true, I lost my girlfriend here, i never saw her back, i was told some Tuskens raider kidnapped her…. Be very careful if you go there !! Not happy at all. Booked to stay for a week, but when I got there place was burned out and there were too bodies lying outside. Came for the scenery, stayed for the blue milk. Ugh, the place is full of sand, and it gets everywhere. Couldn’t leave fast enough. I wouldn’t bother booking here. I couldn’t find the host, Owen Lars, or his wife or nephew for that matter. Everything here smells like smoke(wish they mentioned they were smokers). I was very hopeful after seeing all the great reviews but I was let down for sure. Luckily, There were a lot of imperial troops here and I never felt safer walking through Mos Eisley! Also, definitely check out the cantina! Nobody ever talks about the dust storms when the moon Chenini is in retrograde… or the krayt dragons. They only focus on the positives when talking about this place. When I got there it was burned to the ground. What a waste of money. I was ready to stay with Owen and his family but my speeder was having problems. After arriving much later than expected for a late check-in, I walked in to find a few issues. The host’s family was having issues with their adopted son/nephew running away from home. The host and his wife were also reduced ashes along with their home. The scenery wasn’t all that bad, though. GINGERS STAY AWAY! Despite the lovely scenery and the friendly hosts, I was left disappointed with my stay. Within minutes my skin was burnt beyond repair thanks to my ginger genes, which ultimately led me to staying in my room for the duration of my stay. Whilst in my room I was often disturbed by the most ANNOYING protocol droid, who wouldn’t stop talking about “the maker”. Beru, Lars wife, was great in responding to my initial request and answering questions before the start of my trip. However upon arrival in the Junda Wastes, Owen & Beru were radio silent. We made our way out there, and it was clear the place had been destroyed. Not a clue what happened, but definitely book elsewhere. We barely made it back to Mos Eisley by nightfall & endured some scummy accomidations that I cannot recommend. Hosts are pleasant. Owen works all day on the South Ridge, avoid him if you can, always asks you to lend a hand. Don’t travel too far at night, locals are rather hostile. Went to the Tosche Station because I heard there were great power converters. It wasn’t that great, but there was a lot of other cool stuff there! Owen is a kind host, although he tries to make you help in his farm witch can be a bit anoying. You really should visit the cantina and have some blue milk. Be warnded though, don’t buy blue milk from anyone in the streets. It’s illegal and potentially deadly. Uh, and don’t go if you don’t fancy heat. Growing up in a seafaring naval family, I couldn’t wait to take the first Calamari Crusier the hell off-world and to the most opposite place in the galaxy: Tattooine. Communication with hosts was clear and Beru was very welcoming on check-in. She even had an ice cold mug of blue milk waiting for me. The place was clean and well-kept, although I may have been too hasty in choice of locale, as I started to sauté within hours of arriving. I thought this might happen, so I brought my own tank. Well, the moisture evaporators on the South Ridge were on the blink and the hosts’ starry-eyes nephew was nowhere to be found to fix them! I had to settle for an oil bath, which was a new experience for me. After checking out, I was able to negotiate travel to Alderaan very easily at the Amos Eisley Cantina. I was even able to avoid any Imperial entanglements. All in all, a very fun stay! Highly recommend. I don’t recommend staying here. A creepy old hermit dude kept barging in blabbing about something called the force. I wanted to force myself outta there. Quiet?! What about the Sand People? Stay outside at night and you might not live to see the suns again! It will be gone, after I complete the Death Star! The shower didn’t work, but they set me up with an oil bath. Thank the maker(! ), it felt soo good. Ended up in Mos Eisley at first, but soon followed the signs and it brought me back to Owen’s home. I was looking for a vacation, not a work trip. I was almost killed multiple times and there was no transplantation, would suggest going somewhere else. Great place. Almost found the droids I was looking for! Hot and sandy….but I’d always wanted to learn more about moisture farms so not only did I have a place to lay my head at night after a long day of exploring, but I also enjoyed experiencing first hand the interesting processes involved in moisture farming. I would’ve given these accommodation 5 stars if it wasn’t so isolated. I know that may turn some away. But if you’ve ever had an interest in moisture farms, this is the place for you! The isolation may not matter when you find yourself wanting to shadow Owen about the place all day. Dont let the words “moisture farm” fool you, this place is as dry as a dead womp rat. Also I was attacked by sandpeople while on a hike. Luckily for me they were easily startled. Unless you’re a dry heat person I don’t recommend this place. This is the place you are looking for……………. Long-time Tatooine native. My wife and nephew enjoy the isolation and solitude that the moisture farming life provides. No need for danger and excitement in this family. We were born here and we’ll probably die here one day (hopefully no time soon! ).